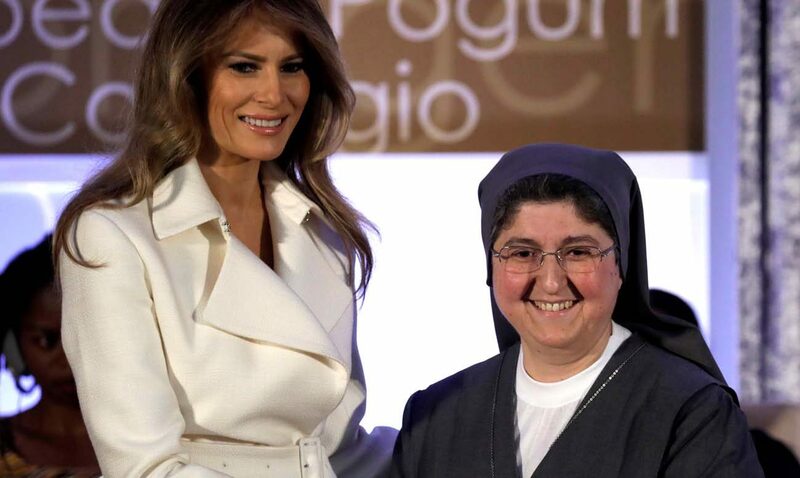 WASHINGTON (CNS) — A religious sister from Syria was one of 13 women honored March 29 by the U.S. Department of State with the Secretary of State’s International Women of Courage Award. First lady Melania Trump presented the awards, which recognize women around the globe “who have shown exceptional courage and leadership in advocating for women’s rights, empowerment and justice, often at great personal risk,” said a news release. — Natalia Ponce de Leon, a Colombian survivor of a chemical acid attack that burned her face and body who has undergone about 50 surgeries to get her life back. — Fadia Najib Thabet, a child protection officer and reporter on human rights violations in southern Yemen, risked her life to protect the region’s children from al-Qaida and other terrorist militias. — Veronica Simogun, founder of the Family for Change Association and advocate for women and girls in Papua New Guinea, has lived and worked in a country where two-thirds of women and girls have been victimized because of their gender.